I am Kamran Elahian. I celebrate failure. People ask me why I care so much about entrepreneurs. The reason is rather selfish: If you care about the planet, and the quality of life – you will care about the entrepreneur, it is the only way that both can be fulfilled. In previous years, capitalism was based on doing whatever it took to maximize shareholders’ value. However that is not the definition of capitalism. There are four constituents: customers, environment, shareholders and profits; and although there are ways of doing business by just focusing on the last two, so much more good can be done, and greater results produced, by focusing on all four simultaneously. And that is where the entrepreneur fits in; that is the value in new capitalism. I worship entrepreneurs because they are the agencies of change. The reality is, most of us entrepreneurs will fail. But even with failure comes so much growth. In fact, we should develop a culture of celebrating failure; having a party every time the ship goes down. Whether or not the entrepreneur succeeds, he or she is a hero – because in that short period of survival they created jobs. Entrepreneurship is like a circle of positive energy, doing nothing but good all over. It takes teamwork! And because this is a team effort I want you to stand up, look to your left and right and hug someone. One day, if you ever get lost on an island you will understand the value of a hug. It is more than an opportunity to touch someone, it is about opening yourself up to positive energies and influences. 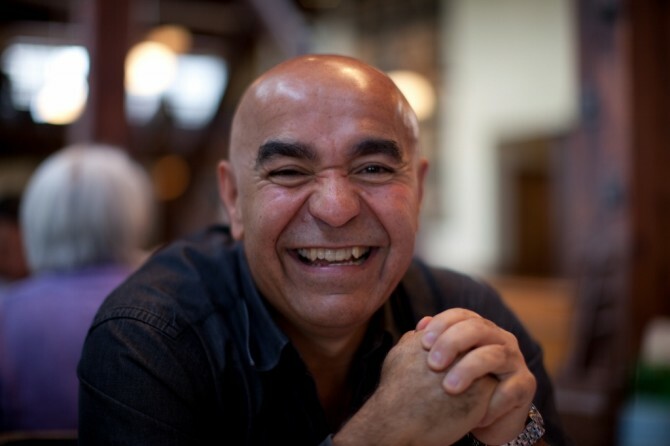 I am Kamran Elahian, founder of 10 companies: 3 failed, 4 acquired, and 3 went public. I may not be a Youngpreneur, but I think it is time you became one. Great message Kamran! Challenge accepted!